I'm actually thinking of another crazier possibility.... what if Hux is actually Luke's son but is non-FS? 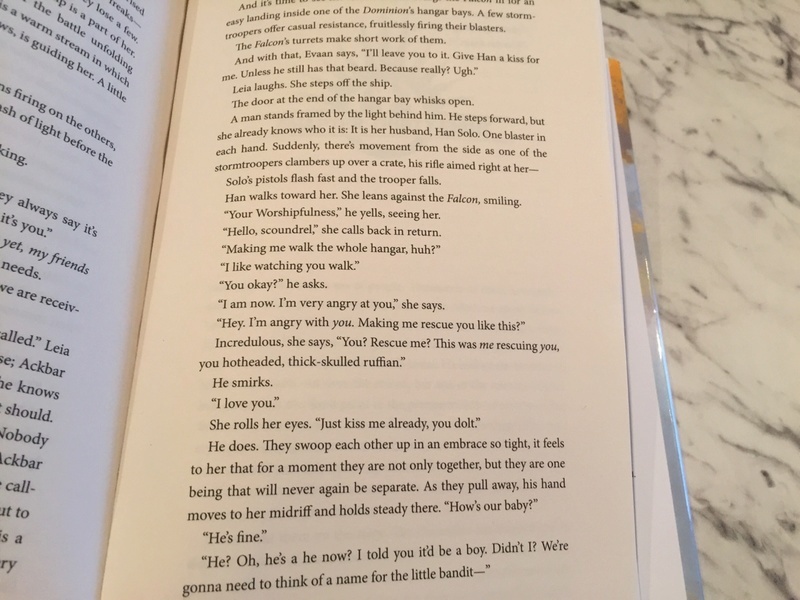 @panki wrote: I'm actually thinking of another crazier possibility.... what if Hux is actually Luke's son but is non-FS? On a serious note, they are woobyfying Hux for some reason while Reylo fans are worried that Kylo will be woobified and therefore his redemption arc won't be as OMG amazing as they hope. In the meantime, Hux fans are celebrating. Sun/Son metaphor isn't about Kylo but about Hux. Sun = orange like Hux's hair. Hux destroys eeevil Snoke and Kylo and gets the gurrrl. Are they woobifying him? I mean it seems like the new canon is more grey compared to the black and white views of the original Expanded Universe and Hux's relationship with his father (going on this) shows this as it would've had a HUGE effect on him growing up and how it would affect his adult life. So it more than likely turned him into what he is in TFA. Regardless, Domhnall Gleeson described Hux as "ruthless" and he has no regrets committing genocide by blowing up the New Republic - this is hugely important when comparing him to Kylo, because Kylo didn't want to blow up the New Republic and he will regret killing Han, therefore giving him a chance a redemption. Hux has no regrets over committing genocide and possibly killing his father (if he did), therefore will have no redemption and having a sympathetic backstory with a ruthless father won't change that, because those decisions were his and his alone. Kylo also made awful decisions but will regret them in the next movies. OMGZ! That's so beautiful! What an ending! I'm crying! @AppleCrumble122 They are taking "poor 4 years old labelled as useless by his illegitimate father who wants to tough him up" route so they kind of are. he could have been just a regular, very much loved son who grew up among Empire supporters. No underdog sith, etc. @vaderito wrote: @AppleCrumble122 They are taking "poor 4 years old labelled as useless by his illegitimate father who wants to tough him up" route so they kind of are. he could have been just a regular, very much loved son who grew up among Empire supporters. No underdog sith, etc. Good point, but I kinda like this backstory. It fits the grey tone of the new stuff. It also fits Hux's character because as DG said: you don't get that far at Hux's age without being ruthless. His relationship with his father would've probably spurred him even harder to get to the top quicker as to prove him wrong on being "useless". But as I said it only makes Hux slightly sympathetic as he still continues the stormtrooper program by kidnapping children and believing it to be the correct way for a loyal army, when there are other methods such as a clone army. You could even argue that he does this with pride from the way he defends it to Kylo Ren. And he has no remorse over committing genocide. Plus his backstory won't matter as much in the movies which is what the general audience will see. Hux's primary goal to for the audience to compare and contrast him with Kylo Ren in terms of the First Order's actions, as Kylo becomes more sympathetic and filled with regret, Hux will probably get more evil and ruthless. 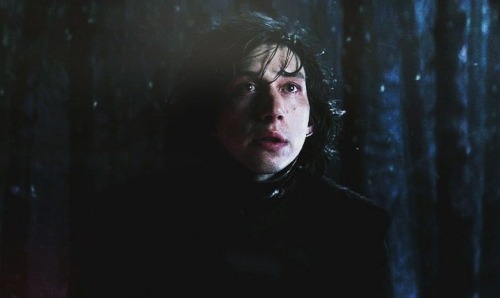 His backstory does not matter in the movies because of this and the fact that he is a secondary character, compared to Kylo who is the most important character in the ST! But Hux's backstory is there in the expanded canon and personally I think it's interesting. But yeah, I do see your point. Bloodline doesn't address is per se... we only know that the new republic changes capital every few years and I think it was in Chandrila for some time.....so chances are the Solos moved around a bit. Oh, it's interesting thing to read about, but pointless from movies POV since they are "only what you need to know" basis. And that info isn't what we need to know for this particular story. nevertheless, some will take it as another stab against Kylo. Hux parents were unloving! Poor Hux! Bad Kylo! We all wanted to have Kylo's parents as parents! @vaderito wrote: Oh, it's interesting thing to read about, but pointless from movies POV since they are "only what you need to know" basis. And that info isn't what we need to know for this particular story. nevertheless, some will take it as another stab against Kylo. Hux parents were unloving! Poor Hux! Bad Kylo! 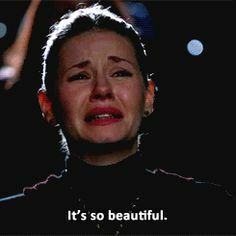 We all wanted to have Kylo's parents as parents! @vaderito Yeah I know what you mean. Double standards again! Really annoying! Haha! Yep this was inevitable. LOL, Internet is running away with Armie Hux. @AppleCrumble122 Seriously. That awful name tells me everything I need to know about where Hux got that stick up his arse from. @BastilaBey wrote: @AppleCrumble122 Seriously. That awful name tells me everything I need to know about where Hux got that stick up his arse from. Gamora: "Who put stick up his arse? That is cruel." 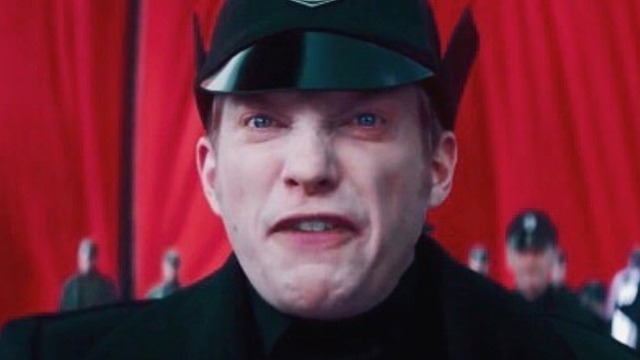 I haven't read the book but Hux is reading more and more to me as another villain who has never known love and will probably be killed off in the films. I enjoy the character when I see him on-screen, but don't really think about him otherwise... unlike Kylo, who kept me wondering well after the movie had ended. I wonder whether Doctor Aphra is a non-FS retcon of Mara Jade.... she works in secret for Vader and she is tasked with pursuing Luke.... she is very resourceful, smart talking and a good fighter..... here is my crack theory .... Aphra and Luke had a child but the child isn't FS and someone nobody would guess- Jessika Pava (Luke is her hero and takes a lot of interest in hearing stories about him in Weapon of a Jedi) ...or maybe KMT? OMG, that dialog is pure cheese! 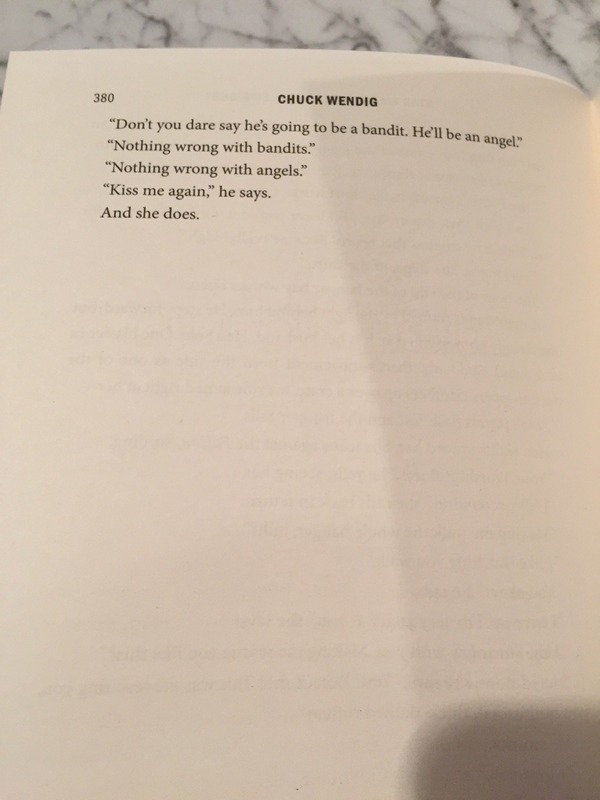 @vaderito "Are you an angel?" Also reminds me of Pablo calling him a 'fallen Jedi', again with the religious feel.